When she is not undertaking a pilgrimage, Soosen lives in Peterborough, New Hampshire and has been a practicing artist all of her life. She studied fine art in college but made her living in graphic design and illustration, first working for the Brookstone Company as an Art Director, then at an national educational seminar company. Despite her busy life, including raising two children, she always kept her hand in fine art. One of her earliest mediums was acrylic. She painted in a cubist or abstract style reminiscent of Picasso and Braque, which later evolved into collage. 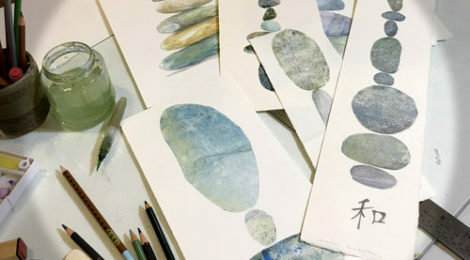 Next, she experimented with sculpture and photography, and finally taught herself printmaking. 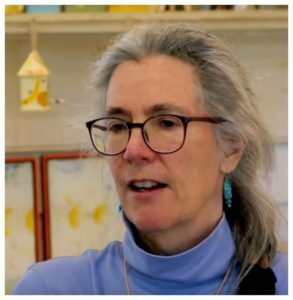 In the early 2000s she worked with cold wax and paint sticks, and during a workshop at R&F Paint in Kingston, New York, she discovered encaustic medium. She liked the way her prints looked with a layer of wax on top and soon began incising lines into them as well. Despite her love of encaustic, she does not want to be pigeon-holed as an artist of encaustic exclusively. She is constantly expanding her artistic tool box and works in a variety of mediums. 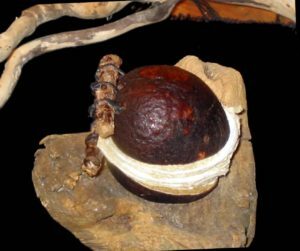 One of her most unique projects was making books from avocado pits. 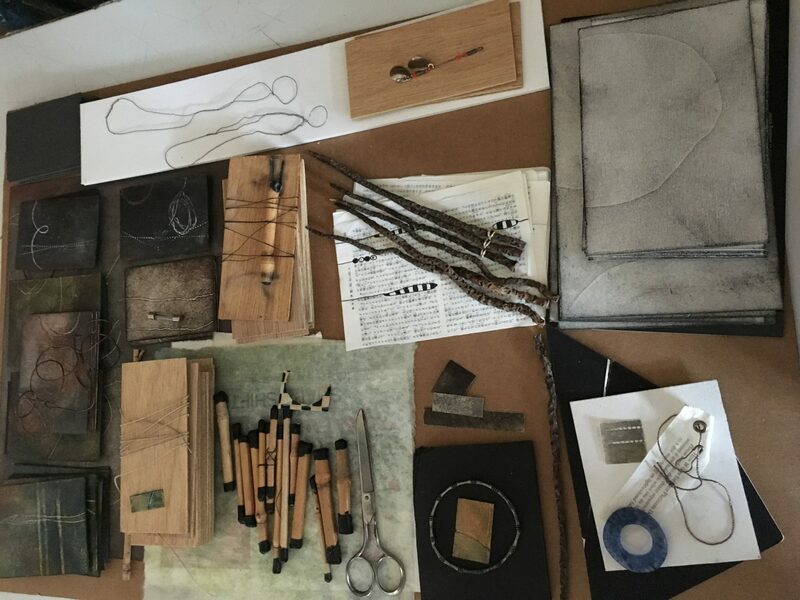 Creative Inspiration in Soosen’s studio. 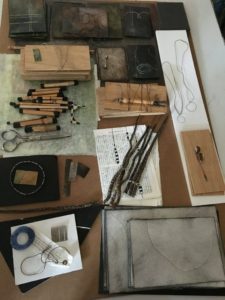 She keeps inspired by having at least 5 projects going on at once. 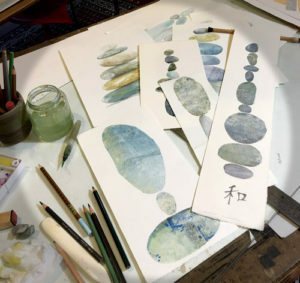 Upon visiting her studio last year, I was, too, inspired. Her studio is a beautifully renovated garage, with big windows and nature all around. With so much inspiration, it’s not surprising to see diversity in medium, color, and subject matter. 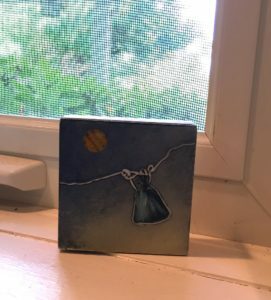 I am particularly fond of her blue greens, and enjoy this tiny painting every day, which sits on my kitchen windowsill by the sink. Nice photos and interview. I enjoyed it immensely! I loved reading this interview. Thank you both Catherine and Susson. So many good things come out of NEW. Glad to be a part and eager to do my part. Fantastic interview Catherine and Soosen! So interesting to learn about your pilgrimage and how you work!